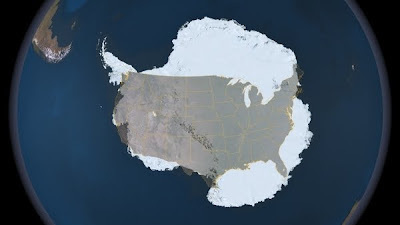 Okay, how BIG is Antarctica? Do you have a mental picture? No? Well, here it is, courtesy NASA.